MDF or medium density fibre board has in recent years become a popular choice for furniture makers the world over. Some claim it is the most versatile furniture making material while others declare it is an abomination thrust upon woodworkers by modern technology. Despite many criticisms against it, MDF has become a popular choice for commercial furniture makers due to its relatively low cost, easy workability and stability. MDF gets its name from the wood fibres that make it up. These fine fibres are mixed with wax, glue and other chemicals and pressed into sheets under high pressure and temperature. The MDF comes out in sheets, usually in 8 by 4 feet sizes, and a variety of thicknesses starting from about a quarter inch (6 mm) to an inch (about 25mm). The material cuts easily and cleanly and its edges can be shaped very well with a router. MDF is used widely in commercial applications, in offices, showrooms and exhibition stalls and kiosks. The material is cheaper than plywood, is easy to put together on a frame, excellent as cladding material, and best of all can be finished to a high degree of gloss. There are various qualities or grades of MDF, some much better than others. Better quality MDF is made of finer fibres, is usually more dense and is made up of better (and at times somewhat safer) chemical additives and glues. Good quality MDF is not as fragile as the cheaper ones and being denser absorb less paint or whatever other type of finish being applied. I had been using MDF for simple jigs and fences that require a flat, stable surface; MDF is excellent for such purposes and can be cut by a power saw without generating excessive dust. Wearing a dust mask, or better still a respirator, is a must while cutting any kind of MDF. The cut is usually clean and the exposed edges can be stabilised with a coating of cyanoacrylate glue. MDF soaks in paint or polish and needs to be coated with primer before painting. However, high humidity and exposure to water can destroy MDF; so can rough usage. 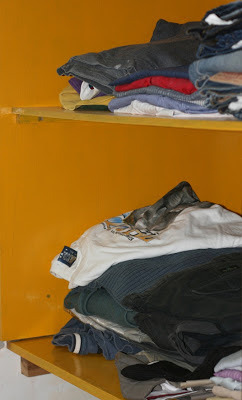 The material also sags under weight and when used for shelving should be reinforced. Its edges are particularly vulnerable and should be well sealed or covered. In all I had found MDF pretty satisfactory for jigs and then decided to make something out of MDF as an experiment. The easiest and a generally useful project is the box. And that's what I decided to make with some scrap MDF that had been lying around for months. The first step was cutting the four sides and the top for the box. I decided to use half inch plywood for the base since MDF tends to wear with regular use, while plywood can take much abuse. The second step was to test the workability of the material. I chose to make box joints for putting the sides together. There are many methods for creating box joints and I prefer to use the router with a jig to make them. This step was a bit of a disaster for two reasons. Firstly, I found that MDF has a distressing tendency to chip out in layers. I do not know if this tendency was because of the quality of MDF I used or whether it is a universal problem. At any rate, the exiting router bit invariably chipped out a layer of MDF and gave the joints a most unpleasant appearance. This problem could perhaps have been obviated by using a backer board while routing the joints. The PVA glue I used also caused ugly blotches and darkened the end grain in the MDF. However, this problem was easily solved by a bit of sanding with 180 grit paper. I also discovered that MDF unlike most natural woods does not compress at all. 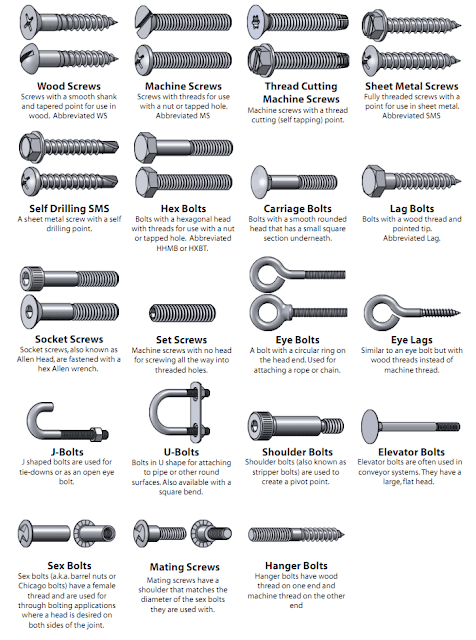 This means that the joints require greater precision to fit snugly. Wood, in comparison, is more tolerating and does compress to some degree to allow tolerances of at least a couple of thousands of an inch and more. The top and bottom of the box were glued on. After they had dried, I routed the top to round over the edges and did the same with the sides. I then cut out the top of the box with a 3/8th inch router bit and separated the lid and the box. Hinges and a latch were screwed on easily and quickly as I have an excellent set of self-centring bits. Before applying primer, I sealed the exposed edges of the MDF with a layer of cyanoacrylate glue which soaks into the MDF and hardens it. Then I slapped on a couple of coats of wood primer and found that the box did not look too bad at all. MDF projects like this box need to be sealed properly with a good coat of paint inside and out. A sealed box is safer, it does not leach chemicals into the air, and its edges wont get frayed with use. A few coats of enamel paint with light sanding in between should give it a decent finish. 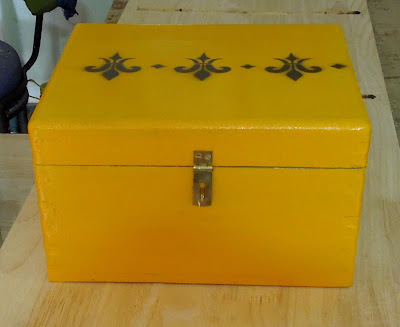 The same box after a couple of coats of paint. Ready to hold a few of my tools that rust easily and could be kept clean and hopefully little drier inside a box. However, I have decided I will never use MDF for any project other than simple jigs and fixtures. This is because of the horrendous dust that cutting and routing MDF produces. Even though I had used a dust extractor while routing, much of the fine dust produced billowed all over the workshop and over me. Fortunately, I was using a dust mask, eye protection and ear protection, or else the dust would have got into places I could not clean. Routing MDF was a calamity; the dust settled over everything and got into corners. It took a lot of cleaning and after I showered, I found fine MDF dust on the floor of the cubicle. MDF dust is poisonous and frankly I do not care for it at all. Perhaps dust is not a problem in factories or professional workshops that have powerful dust extraction system but in a home workshop, working MDF is a bad idea. I won't do it again. I later read that MDF has another major disadvantage: it leaks poisonous, carcinogenic matter (mostly free Formaldehyde) into the air unless its surfaces are completely sealed. Not a pleasant revelation at all. MDF is widely used in these days and from its unmatched feature it replaces traditional wood material.MDF is also cost effective. Recently i purchased a track saw, and i had a 4x4 mdf sheet of 18mm lying in my workshop and i wished to make a box with that mdf. four pieces for the sides only i wanted with top and bottom being made of plywood, to ensure, that the edges would remain tidy. I connected my track saw to my home Forbes vacuum cleaner, wore breathing mask and safety glasses and made those four cuts. Oh my god, the amount of mess, in my workshop on the plunge saw and the guide rails, apart from what has gone into the vacuum, was so much. It took lot of effort to clean up the whole thing and time spent on cleaning was three times, spent on set up of track, marking the cut size and actual cutting. the result was wonderful edges, able to stand erect on all edges without support and no chipping on either side etc. But the back breaking clean up and possible health hazard of such fine dust, i feel is not worth it. As you rightly said, probably i would use only for making jigs and fixtures for my workshop and will never in my life would attempt to make any furniture or cabinet for my home or for anyone. May be it is preferred for commercial production, on CNC machines and automated multiboring machines with endge banding line or even membrane pressing etc. Definitely MDF is out from my DIY workshop. Finally I found the other MDF I wanted to share. This is water-proof MDF from GreemLam and is red in color. The most expensive one from the shop. Praveen: That MDF looks really good. How much does it cost and what are its dimensions? 85/- sft, I got no bargaining tricks for a single ply. It is an 8x4! In general, any ply is available(in B'lore) in three sizes, 6x4, 7x3 and 8x4. I used regular wood primer and enamel paint. I was looking for MDF for a guitar amp build and came across this page. 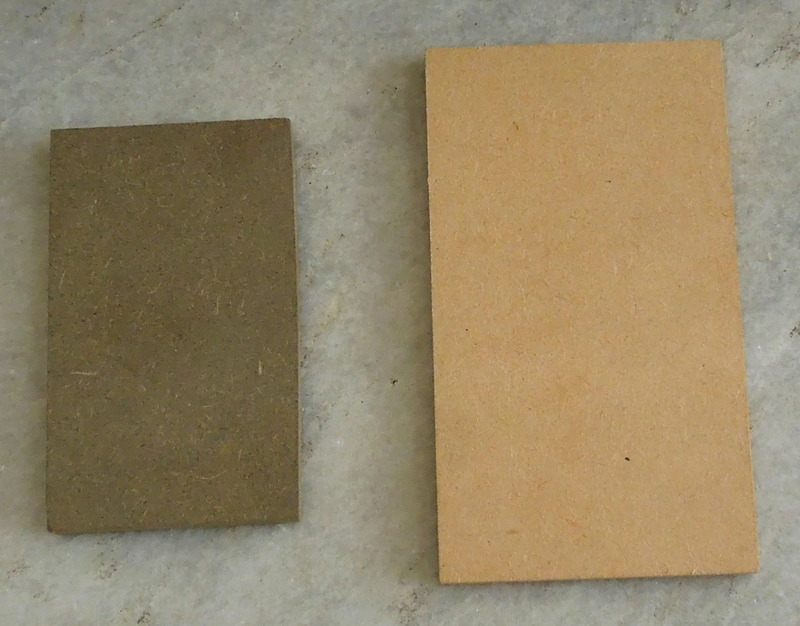 Is there any place in Bangalore where I can buy MDF in smaller sizes? At max I am looking for 5-6 sq feet. Don't know about Bangalore but you should not find it difficult to get 6 by 3 feet MDF sheets. Thanks for the reply. I managed to get it from a shop near HAL old airport. Other shops were selling only the 8x4 feet full sheets. How to give a matt finish to MDF ? Should I just apply a layer of matt finish lacquer on the top coat paint ? Yes, Ankit, that should do.